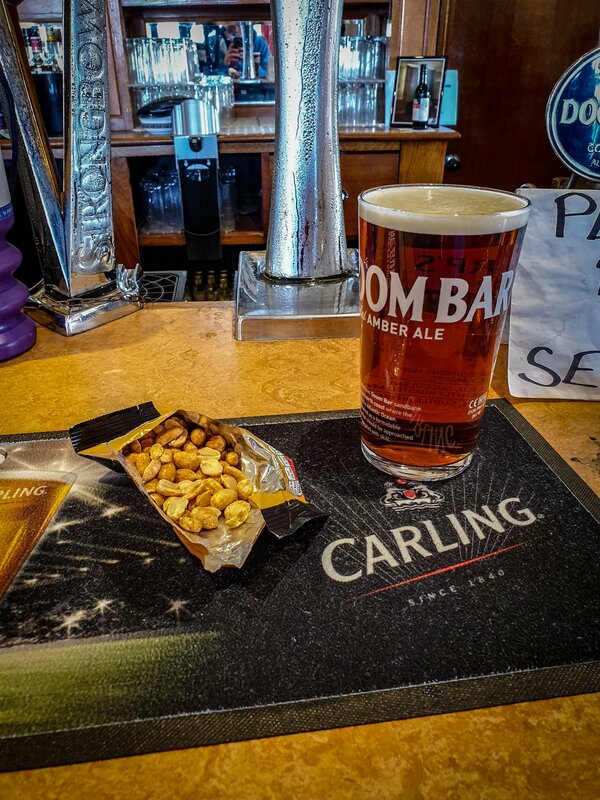 A little treat down at the Kings Arms. The wife has taken the kids out today and for some reaon I wasn't invited. On that basis I've been pretty awesome and spent the day doing laundry and tidying thr back garden. I thought I'd been even more awesome than pretty awesome so decided to treat myself. I went to check out one of my local boozers - The Kings Arms. I really liked it. They serve Doom Bar which is one of my favourite beers. They had one other on tap with thr usual selection of lagers. The decor is straight out of thr 90s and it all felt very retro - perfect. I sat in the main bar with some locals a few centuries older than I. Next week I may be brave and try the other bar which looked to house a pool table.